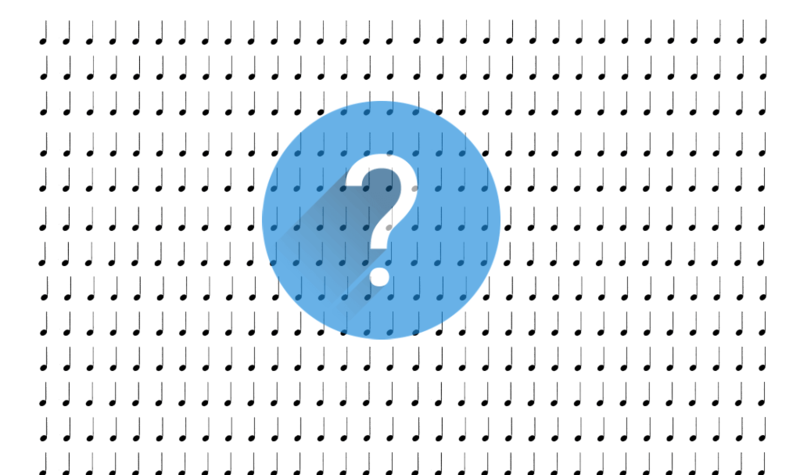 The Time Signature – How Many and What Kind? 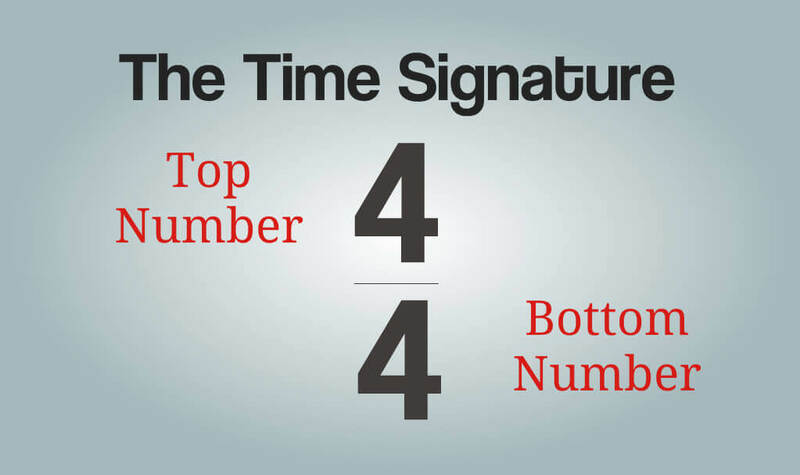 A time signature is the key to knowing how to count your music. Beats, grooves, counting and understanding music – it’s all sorted out with the time signature. When do you START Counting? How do You Know When to STOP Counting? What Kind Of Note Gets A Count? 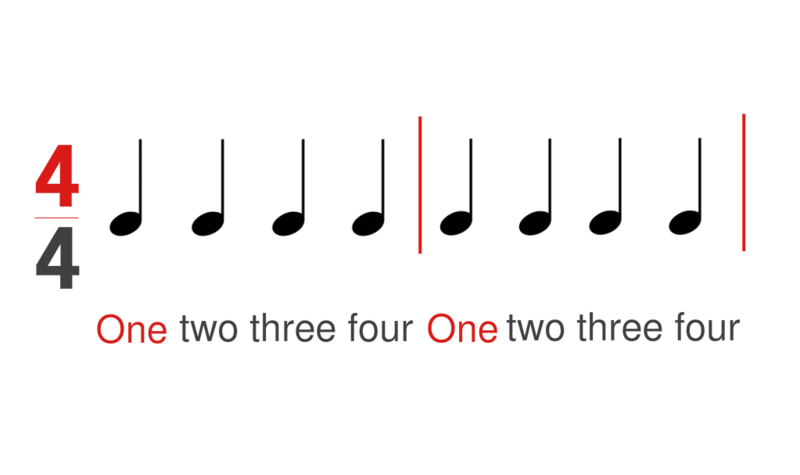 As we saw in our intro to Quarter Notes – a steady beat is established with quarter notes (and quarter rests). But there should be a simple way to organize them. Otherwise – a song could have hundreds or thousands of beats. How would you know where you are? We don’t have to count forever. 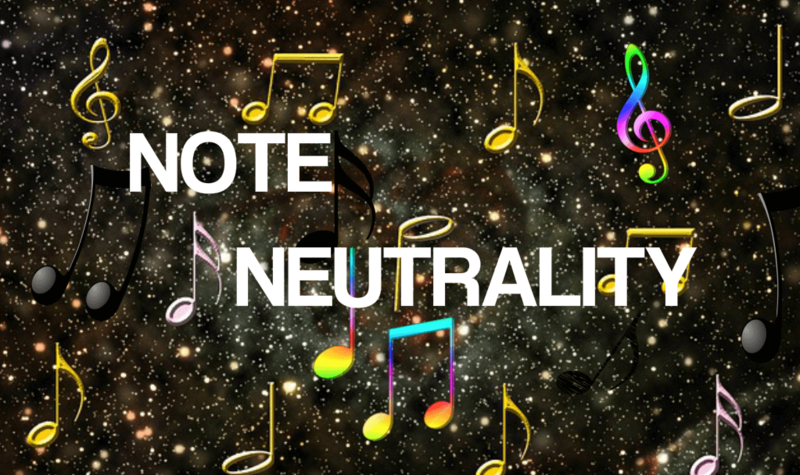 Just like marching, we can group the notes into patterns of 2, 3, 4 or whatever we want. This is what the time signature does best. 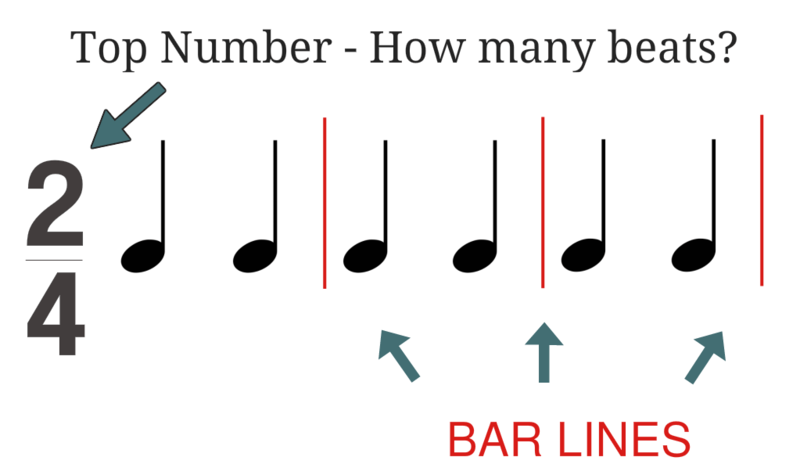 The Top Number of the time signature tells us how many…..
Plus – for a visual aid – we add a bar line. The bar line doesn’t create a pause or change. It is just a visual means of grouping the beats together. What kind of note gets one beat. In all of the above examples, the quarter note gets 1 full beat. 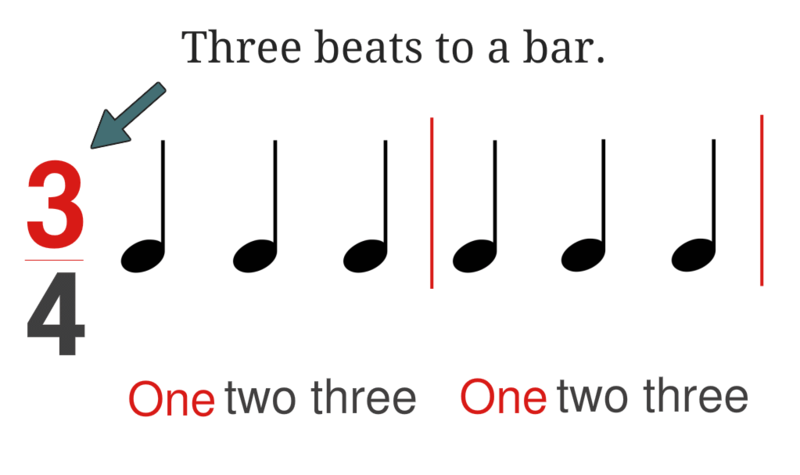 Instead of counting to 16 – the time signature groups the notes into four bars of 4 beats. It is now easier to see and count. As you know, there are more notes, rests and rhythms to learn. Next, we will study the Half Note. Keep reading to learn more. send questions and comments. Your information will never be sold or given away. We Hate spam!